Stymied and stumped by arguments that wrap around you like a web of mystification? The Amazing Dr. Ransom's Bestiary of Adorable Fallacies is here to help! This "Field Guide for Clear Thinkers" is filled with illustrations, descriptions, exercises, and analysis to help you identify and avoid fallacies you might encounter in everyday life. Describing fifty informal fallacies organized by context--- fallacies of distraction, ambiguity, form, and "millennial fallacies"--- each is described as a (adorable yet venomous) creature one might encounter in the wild, complete with illustration and fantastical description. 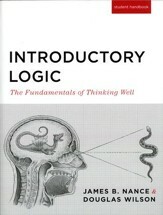 This book is perfect for supplementing any high school or college logic curriculum . 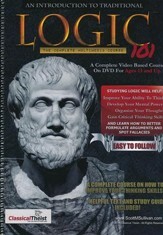 . . or as an independent read for adults who want to learn more about logic! 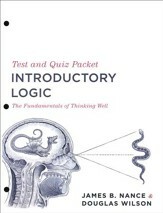 Each fallacy is followed by discussion questions and exercises; a line-listed answer key and both one and two-semester schedules are included in the back of the book. 320 pages, softcover. High School-Adult. Stymied and stumped by arguments that wrap around you like web of mystification? The Amazing Dr. Ransom's Bestiary of Adorable Fallacies is here to help This "Field Guide for Clear Thinkers" is filled with illustrations, descriptions, exercises, and analysis to help you identify and avoid fallacies you might encounter in everyday life. Describing fifty informal fallacies organized by context--- fallacies of distraction, ambiguity, form, and "millennial fallacies"--- each is described as a (adorable yet venomous) creature one might encounter in the wild, complete with illustration and fantastical description. This book is perfect for supplementing any high school or college logic curriculum . 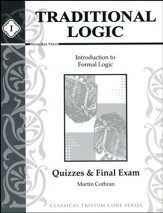 . . or as an independent read for adults who want to learn more about logic Each fallacy is followed by discussion questions and exercises; a line-listed answer key and both one and two-semester schedules are included in the back of the book. 320 pages, softcover. High School-Adult. I'm the author/artist and I want to review The Amazing Dr. 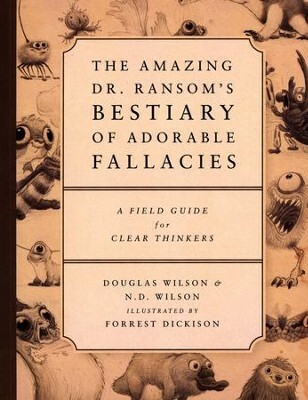 Ransom's Bestiary of Adorable Fallacies: A Field Guide for Clear Thinkers.